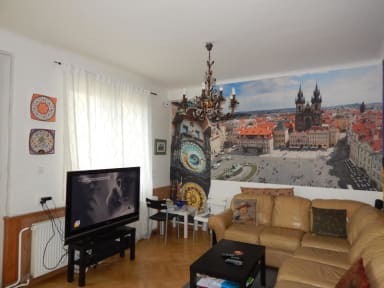 Perfecta ubicación en el medio de la ciudad de Praga. Desde aquí, Se puede llegar caminando a los lugares de interés. El desayuno que dan, es sandwich. Solo tiene dos baños para usar. The entire place needs a good scrubbing. During the three days I was there, I think the bathroom was “cleaned” once. That said, if you can stand a little grime and an uncomfortable mattress, this hostel is in a stellar location! No atmosphere—the common space is one sofa and the check-in desk crammed together into a small room. But Prague is a a fabulous party town, so it’s easy to meet people outside of the hostel. For the value and location, I don’t regret it. This location was disappointing to say the least. 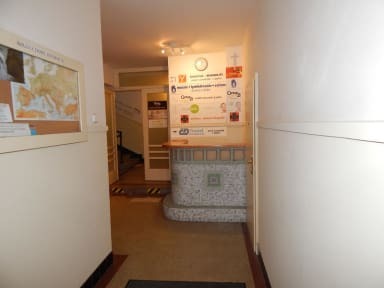 It was extremely difficult to find due to the fact the hostel sign is very small and difficult to see and therefore we walked past it many times. They don’t accept card, only cash. The hostel was extremely basic and for the same price we got somewhere much better near Charles bridge. The staff weren’t very helpful. After I was sent to the atm to get money, they didn’t have change to give me and so this put a further 45 minutes onto the check in.